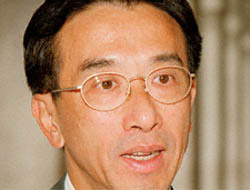 Will James Tien, the slimy idiot savant who runs the pro-cartel Liberal Party, manage to win a Legislative Council seat if he runs for election next September in a geographical constituency? Never listen to rumours, I was always told. But I do anyway, and the word is that James has already promised his apparently safe functional constituency seat to a fellow “Liberal” Party member – a very boring person whose name escapes me. So it looks like he has little choice but to submit himself to the will of the people. How will he handle such exotica as opponents and voters who don’t know daddy? According to another rumour, that master of political strategy, our valiant Chief Executive Tung Chee-hwa, is desperately begging candidates from the Liberal Party, the DAB and other non-democrat groups to refrain from running against each other and splitting the meagre pro-Beijing vote – ensuring a pro-democrat landslide. The crop-haired one hasn’t spoken to me for months, so I don’t have the opportunity to remind him that the Liberal (sic) Party stands for inherited wealth, cheap labour and price-rigging, while the DAB is in favour of workers’ rights, social welfare and more social welfare. The Liberals are pro-Beijing because personal connections are the only way they know to make money. DAB voters are pro-Beijing because they’re poor, uneducated, foreign-hating Neanderthals. Not exactly bed-mates. An email arrives with the reply – “It does. It’s about 18 inches below the centre of the screen.” My question had been – “Why doesn’t the South China Morning Post appear on your amusing Real Guide to the Media Landscape?” Peering below my desk, I see they are right. They have thought of everything. 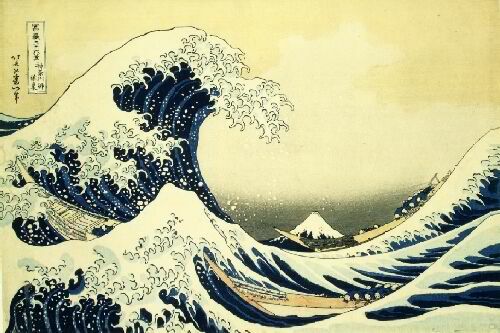 I am about to be drowned by a tsunami, buried by an avalanche, crushed by a wall – of cash. We have entered the dividend season. Following Sun Hung Kai Properties’ interim a few weeks ago, I have just received a healthy payout from ASM Pacific. I am now expecting obscene volumes of money this week from HSBC and next week from Giordano. And then, a couple of weeks after that, Swire and Petrochina will dump more truckloads of the green and crinkly into my bank account. What to do with this wealth so kindly created by these companies’ toiling, exploited employees, while I, the shareholder, sit around all day doing nothing? All I can think of is re-investing it. Compound the rate of return. So even more cash flows in next time. It’s a never-ending problem. I believe our insightful leaders have noticed the compelling parallels between the mood in Hong Kong, with its newly defiant middle class, and history’s best taxpayer revolt. They surely see the similarities between last year’s Article 23 debacle and Britain’s Revenue Act of 1764, of which James Otis of Massachusetts wrote – “one single act of Parliament has set more people a-thinking in six months, more than they had done in their whole lives before.” Is the Government's extraordinary eagerness to fill in the harbour driven by a determination to deprive us of anything to dump tea into? It’s the best explanation I can think of. Are we making life too easy for the visually impaired? The possibility occurs to me when, strolling through IFC2 Mall, I notice that there is a track embedded into the floor that guides blind people to a row of boutiques specializing in skin-whitening products. How can the eyeless ever hope to lead independent lives if they are continuously pampered and never learn the hard way where things are? Still, as a shareholder in Sun Hung Kai, the landlord, I must applaud – profits can only increase if the hordes of unsighted people clamouring for paler skin are helped to find their way to these cosmetics stores. Factory workers mangled by machinery. Exploding gas wells poisoning villages. School-fireworks factories blowing up. The glorious motherland consolidates its global leadership in imaginative industrial safety mayhem, courtesy of the Great Garlic Disaster of 2004, which claims 11 lives. What a way to go. Sitting in my office on the 20th floor of S-Meg Tower, I relax, admire the view of Victoria Harbour, listen to WETA and ponder the state of our little world. Two weeks after Beijing told the Hong Kong middle class to drop dead, Tung Chee-hwa stands up in the circus and tells us to show our national leadership more respect, trust and understanding. Old tofu-for-brains also repeats his inspiring plea that we “focus on the economy” – that miracle cure for impure thoughts. Standard & Poors and Moody’s awkwardly raise concerns implying that political and economic reform go together. No popular mandate for the Government means no broadening of the tax base and no cutting of wasteful expenditure. Our quietly ambitious Financial Secretary Henry Tang offers miracle cure number-two – he will “improve communication” with the ratings agencies. We have only another eight years of this – or 13, if the Liberal Party wins acceptance for its proposal to introduce election of the Chief Executive in 2017. Or 18 if it doesn’t. Maybe. Meanwhile, far to our north, the death toll from the Great Garlic Disaster of 2004 has risen to 15. Clearly, we must treat this substance with more respect in future. 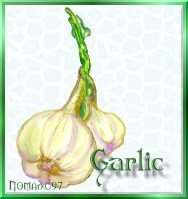 Many are the times I have crushed cloves of garlic totally oblivious to the possibility that they can do the same to us.